Bridge of Hope Children’s Ministry is blessed to have many projects that are making an impact and positive change in the lives of some of the poorest children in Uganda. During our many visits to Uganda to monitor and develop the projects we have felt led by God to adapt a holistic approach to the work we do. 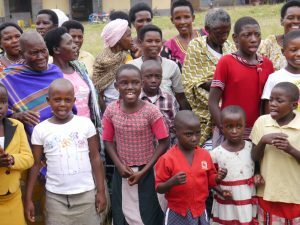 Whilst raising funds to build two homes Bridge of Hope Children’s Ministry decided to start a “Child Sponsorship” programme where individuals in the UK can be linked to a specific child. This programme now supports 150 children. In September 2011 under our “Give a Child a Home” programme we opened two homes for orphans and abandoned children but realised that the children needed to attend a good quality nursery school which was not available in the area. God soon spoke to us and a vison was born to build the Bridge of Hope Nursery & Primary School. Once the first phase of the school buildings were completed, God encouraged us to use the classrooms during the holidays and the Bridge of Hope Bible Based Holiday Club was set up and now serves approximately 500 children who are eager to learn and have fun. All the children we support are visited at home and assessed to ensure we reach the poorest children. During visits to these homes in rural areas we soon realised there is a great need for clean water amongst the communities. We are now “Providing Clean Water” by converting dirty ponds into a Protected Spring Tanks. 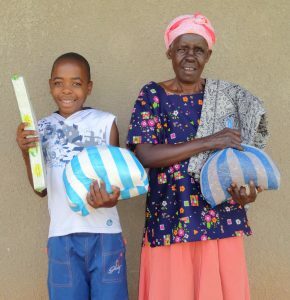 Because of the level of poverty in Uganda there are many families that require basic help such as a new roof or a latrine to be constructed and the Bridge of Hope “Family Support” Programme can assist in these cases. Our latest programme is the Bridge of Hope “Youth Sports Development Programme” where we encourage children to come along and have fun, learn skills and have the opportunity to just be children for a few hours per week.